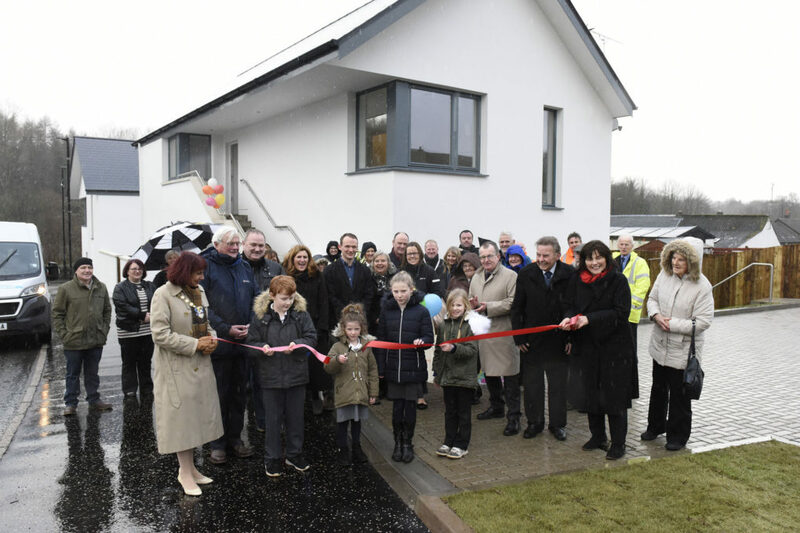 Local school children opened Ayrshire Housing’s latest development in the village of Dailly this afternoon. It has taken just nine months to turn the derelict pub site into much-needed homes for affordable rent. The children were joined by South Ayrshire’s Provost Helen Moonie and Jeane Freeman, local MSP and Scotland’s Minister for Social Security. The project was made possible by generous funding from the Scottish Government and South Ayrshire Council. The energy–efficient houses were designed by Ayr-based architects ARPL and built by local contractor, 3 B Construction. See earlier posts about our development.